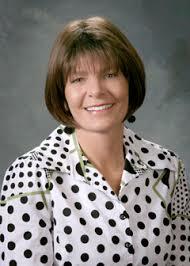 It’s the start of a new year in the New Mexico legislature and much has changed. For one, with this past election, the state House of Representatives finds itself with a Republican majority for the first time since 1953. At the same time, some things continue to repeat themselves. Once again, Miguel Garcia (D, Bernalillo County) has introduced his pet gun control bill, HB44, in spite of it being defeated last year. There are a few minor changes, but the substance of the bill remains basically the same: regulating firearms sales and transfers, creating greater government controls, increasing the possibility for misuse of federal database information and opening the door wider for an overall ability for the government to decide who merits being allowed to keep and bear arms and who doesn’t. Like most gun control legislation, it uses violent crime as its motivating factor while actually doing nothing to actually diminish violent crime or keeping guns out of the hands of either criminals or the mentally unstable. It simply focuses on putting greater burdens on law abiding gun owners; the ones who don’t commit most crimes. But this is nothing new. It’s the nature of gun laws. Their main focus is on curtailing, infringing and, ultimately, removing the right to keep and bear arms from the citizen under the guise of protecting our rights, but making us ‘safer’ at the same time. So, here’s the good news about this bill: We now have a Republican majority in the State House as well as a Republican governor. The bad news: The Senate still has a Democrat majority and, sadly, we’ve seen that just because a legislator has an ‘R’ by their name doesn’t mean we can predict where they’ll stand on any particular issue. While it is the job of our senators and representatives to propose, debate and vote on legislation with consideration for their constituents, it’s our job as constituents to make our wishes known. We have a responsibility to call, to write, to show up and make our voices heard to those who represent us so they can effectively represent us. With that in mind, there are things we can do to support those in Santa Fe who are on the same page and get the attention of those who aren’t. While Representative Herrell and, I would suspect, the majority of the other Representatives on the committee may embrace fairness and a respect for all views, experience tells us that those sentiments won’t be shared by all speakers who turn out, especially those on the left. There’s already been drama brought to the Capitol this year from the hard left group, ProgressNow New Mexico in a hearing on right to work legislation. With gun control being another sore issue for liberals, it’s a pretty good bet that this group and possibly others will do whatever they can to gain an upper hand in this meeting, including resorting to being disruptive to the proceedings. There is a sure way to make sure that your voice is heard on this. If you are able to make it up to Santa Fe on February 7, please do so. This is a perfect opportunity to express our desires to our elected officials and at the same time, present a positive image of ourselves in both word and deed of just who we really are. It’s good to remember that all the spin in the world does no good with those who get to see firsthand the difference in behavior between two very different types of people when they’re in the same room, addressing the same issue. What people see with their own eyes trumps all the false narrative in the world. The form on this site is simple, short and takes less than a minute to fill out and send on its way. So often, we complain about how our elected officials don’t do what we want them to. This is a situation where we can easily have an impact. Light up the phones. Load up the inboxes. Fill up the meeting rooms. There’s one thing I can guarantee you: If we stand up and speak out, we will be heard. On February 7, after hearing from everyone who took the time to travel to Santa Fe, the Regulatory & Public Affairs Committee voted 4 to 3 to table the bill. HB44 is dead for another year. Thanks in large part to the citizens who took the time to call, email, text, fax and speak their minds in person, this attempt to infringe further on our 2nd Amendment rights has been thwarted again. Of, course, this story never ends. Expect this bill to pop back up next year. All the gun control side has to do is win once, so please don’t let your guard down and don’t ever underestimate the value of the individual to make a difference. It was individuals who made a huge difference on this. 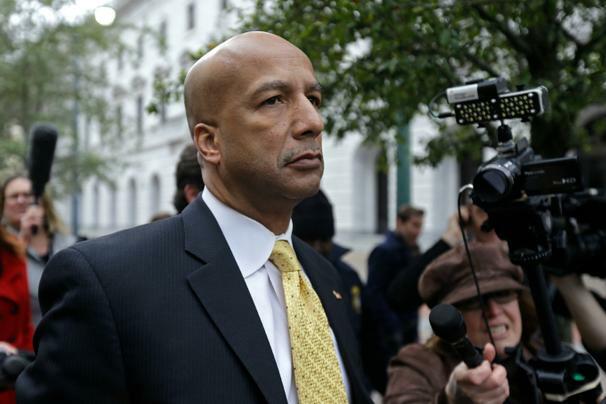 Former New Orleans mayor, Ray Nagin, was convicted today on 20 counts of corruption, including fraud, bribery, money laundering and tax evasion before and after Hurricane Katrina. He has been sentenced to ten years in federal prison and ordered to pay $82,000 in restitution. Nagin accepted hundreds of thousands of dollars in bribes, including not only money, but also free vacation trips and truckloads of free granite for his family business. While I’m not saying that there are no corrupt Republicans because, obviously there are, the majority of these types of corruption cases, from Illinois Governor Rod Blagojevich’s 14 year sentence for eight counts of corruption to U.S. Representative Charles Rangel’s (D-NY) conviction on 11 ethics violations in Congress to California State Senator Leland Yee’s charges of, among other things, gun running, involve Democrats. It’s true that Republicans also get caught with their hand in the proverbial cookie jar. Just look at the current situation in Mississippi with Senate candidate and incumbent Thad Cochran and the voter fraud charges against him. Like so many others with an ‘R’ by their name who have become embroiled in this kind of wrongdoing, Cochran has been immersed in the same liberal-dominated environment as his colleagues with ‘D’s by their names. In fact, his practices in the Republican primary against Tea Party candidate, Chris McDaniel, were much more typical of the Democrat Party than the GOP. For me, I see very little difference philosophically between someone like Thad Cochran and someone like Ray Nagin or Charlie Rangel. The question in my mind is: Why is this sort of thing becoming so much more prevalent? I would argue that, especially with Democrats, we are seeing the consequences of their embracing and promoting of the entitlement mentality that they’ve championed for so many years. If your average American (and in some cases, illegal immigrant) deserves and is entitled to money, services and things regardless of whether they actually do anything to earn them or not, how can that thought process not translate over to those who consider themselves the political elite of our society? If they want, they’ll reason, they should be able to just take, especially if it’s being offered to them by others. After all, they do work that contributes to the ‘greater good’, so that should balance out against the occasional violation of the laws that many of them feel that, as legislators, they should be exempt from anyway. Besides the dangers of our elected officials using their positions to consciously impose tyranny upon us, there is also the insidious danger of becoming desensitized to moral and legal absolutes when they come into conflict with our growing “I want…I need…I deserve” mentality. It’s really not such a stretch since the government regularly engages in theft, taking larger and larger amounts of money from those who earned it in order to funnel that it into whatever programs or purposes they deem to be deserving, sometimes even having the gall to call this theft “charity”. 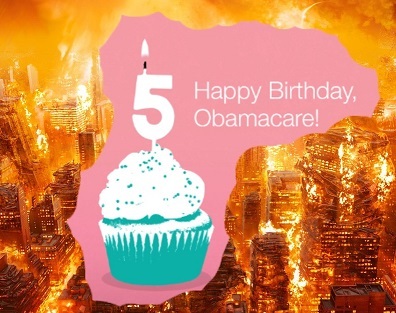 Add to that the government’s most recent foray into both theft and control through intimidation known as Obamacare. This is a program designed to force every citizen to buy something (in this case, insurance) whether they want it or not. It rips away anything (what Obama refers to as ‘inferior plans’) that people have decided they want and have spent their own money to acquire if it doesn’t meet the standards set by these elites in Washington. It has also demanded that employers meet the needs that the government has decided are vital, even when those demands violate the liberties of those employers. Thankfully, the Supreme Court has offered up at least a small amount of opposition to this last part. It’s these sorts of practices, plus things like the intimidation tactics of the IRS against conservative groups, the huge data mining operations by the NSA and the blatant circumventing of our governmental system by Obama with his phone and pen that would gain the respect of the likes of Al Capone, were he alive today. He might even go into politics to get his piece of this very dirty pie, assuming that he could put aside his own conscience to do so. So, the question that we all have to ask is, what do we do about, not only the blatant disregard for morality, decency and the law by our elected officials, but what do we do about the liberal mindset that has created an atmosphere where these sorts of actions aren’t seen as being such a big deal as they would have been in the past. For me, that answer is simple: Dissipate the entitlement/victimhood mentality that has been used to explain away the demotivation of our citizens and to justify acts that once we would’ve considered deplorable and unthinkable and replace it with an atmosphere inspired by our founding fathers and those that came after to build on those original concepts and the sense of American exceptionalism that all that effort led to. 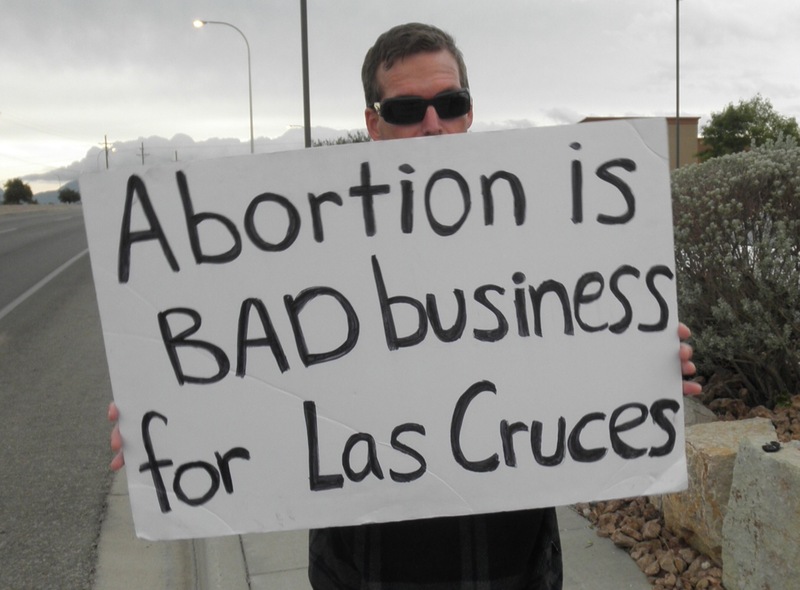 I wrote the following after voting in the New Mexico Republican primaries on June 3, 2014. I made a choice not to publish it until after the polls had closed and some of the dust had settled. I haven’t posted much here in the last several months, but that’s about to change. My time and attention has been pulled and stretched in a lot of different directions, but I feel a burden to write now on something that is weighing very heavily on me. Today is Primary Day here in New Mexico, as it is in so many other states. Anybody who knows anything about me knows that I’ve been passionately promoting David Clements for U.S. Senate for the past seven months, since he first declared his candidacy. In that time, I’ve gotten involved in the political world in ways I’d never considered. I was asked to become a Vice-Director of an amazing group, New Mexico Conservatives For Freedom, with some of the most inspiring local conservatives I’ve ever met. I’ve served as a delegate for the first time ever at the state Republican Pre-Primary Convention. I’ve participated in fund-raisers and rallies and gotten to meet and talk with people I would’ve thought were beyond my reach. I was even given the label of ‘conservative activist’ (two words you don’t normally put together) by a member of the Clements campaign and decided to embrace that. Yes, consider me Randy Lynch, conservative activist. I’m owning that! The point is that I feel so blessed by my experiences over the past seven months. There’s another point I feel I have to make, though. I have addressed from the beginning why I believe that David Clements is the best possible candidate that we could hope for; that he’s a man of knowledge, principle and conviction. I also addressed, when he entered the race, how Allen Weh was a much less desirable candidate and, as I learned and saw for myself more about who Weh is, I also addressed why I believe that he is simply bad candidate who exhibits poor character and principles that are way too flexible depending on circumstances. I’ve been asked multiple times what I will do if Allen Weh wins this primary tonight; will I support him against Democrat and incumbent, Tom Udall. Sometimes it’s been asked by people who honestly want to know, but more often, it’s been by those with a pro-Weh agenda who want to paint me as the kind of person who, when I don’t get my way, tries to ‘burn the Party to the ground’. Putting aside those childish and over-simplified accusations, here’s my answer, covering every aspect I can think of that applies. First, regarding the kind of support I’ve given the Clements campaign: No, I will not come out and tell people what a great guy Allen Weh is. I couldn’t even say that he’d good for New Mexico or the nation. Understand that what I’ve said and written about both Clements and Weh was not just campaign rhetoric to be discarded and forgotten after the election. I don’t function that way and I really don’t understand those who do. Many have said very nasty things about Clements, then, in the same breath, say how, if David gets the nomination, they’ll get fully behind him. To me, that smacks of an incredibly arrogant level of hypocrisy. The kind of man that I’ve said that Weh is; that’s the kind of man he is. I didn’t talk about his embarrassing run against Susana Martinez in 2010 or his lukewarm positions on issues like Obamacare or his cowardice in directly engaging his primary opponent on the issues or the fact the he and his people have tried to limit the public’s ability to hear what he has to say to certain groups because I was looking to present Allen Weh in a worse light than David Clements. While that was a factor, the main reason I talked about all of that and more is because it’s true. An electoral victory doesn’t magically change any of that. It doesn’t mean that he’s suddenly the best choice for the job. Truthfully, he’s just the candidate who got the most votes. I can’t in good conscience start promoting Allen Weh as a good man or even as a good candidate. It would be inconsistent and hypocritical of me to do so. I can talk about how horrible a senator Tom Udall has been and all that he’s done to help limit our liberty, steal our land and destroy our healthcare system. It’s true that I want Udall out of office because of the damage he’s caused and the damage he still has the potential to cause in the future. It’s also true that there have been many occasions where I’ve cast my vote for candidates while figuratively holding my nose. After all, I voted for Mitt Romney in the last presidential election and I have even said that I’d probably even vote for Chris Christie should he get the Republican nomination in 2016, God forbid, especially if he’s running against Hillary. I have always maintained that the worst and/or most liberal Republican is normally still a better choice than the best and/or most conservative Democrat. It’s just the reality of modern politics that has seen me vote for the lesser of two evils a lot of times. With David Clements, I haven’t had to worry about being stuck in that awful position. If he wins tonight, I can easily give my whole hearted support, time and energy to his campaign and, of course, gladly give him my vote in November. However, if Allen Weh wins the primary tonight, I’m not even sure how I’ll vote in November, as I don’t know that he would even qualify as the lesser evil, compared to Udall. What I do know is that I would not be supporting Weh’s campaign on any level except to point out the shortcomings of Tom Udall. I focus on the truth and the truth is something that will never be a beneficial ally of someone like Allen Weh. Of course, that night, Allen Weh did win the primary election, but it was not an easy victory for him. In the course of a few months (he entered the race well after Clements did), Weh spent $372,622 while Clements only spent $43,967 and yet Weh got 41,455 votes to David’s 24,390. The media is portraying it as an easy victory, but that is the last thing it was. Weh spent months running scared, doing everything in his power to avoid direct interaction and comparison with Clements, including canceling two scheduled debates. His campaign also engaged in attacks and accusations against Clements that were very reminiscent of his 2010 gubernatorial run against Susana Martinez. There was nothing easily won about this primary. 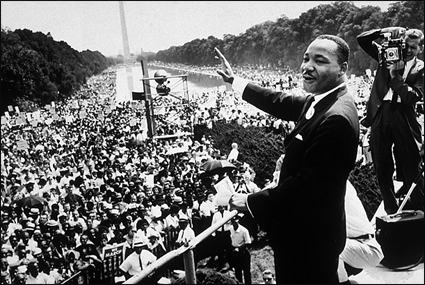 50 Years After “I Have A Dream”, What Would Dr. King Think? Fifty years ago today, Dr. Martin Luther King, Jr. delivered his “I Have a Dream” speech from the steps of the Lincoln Memorial to over 250,000 attendees of the March on Washington for Jobs and Freedom. He talked about his desire to see America become a nation that truly lived up to the concepts and principles laid out in our Constitution; in the broadest strokes, that all people are created equal, are endowed by their creator with the unalienable rights of Life, Liberty and the Pursuit of Happiness and that these rights must be protected for all Americans in order for them to have meaning for any of us. In so many ways, our nation in the fifties and sixties was a completely different place from the America of today. It was a world of segregation; of separate restaurants, schools, bathrooms and even drinking fountains. It was the world of Bull Connor, Orval Faubus, the proliferation of the Ku Klux Klan and the murders of Emmett Till and Medgar Evers. The world of today is much changed from that world, although not always for the better and often not as much as we might wish. We still have racial division and inequity. While the overall national unemployment rate is 7.4%, the unemployment rate among blacks is 12.6% while the rate for blacks between the ages of 16 to 19 is 41.6%. The overall poverty rate for blacks in America is 35%. While black women only make up 14% of the female population of the country, black women have 36% of all abortions in the nation. 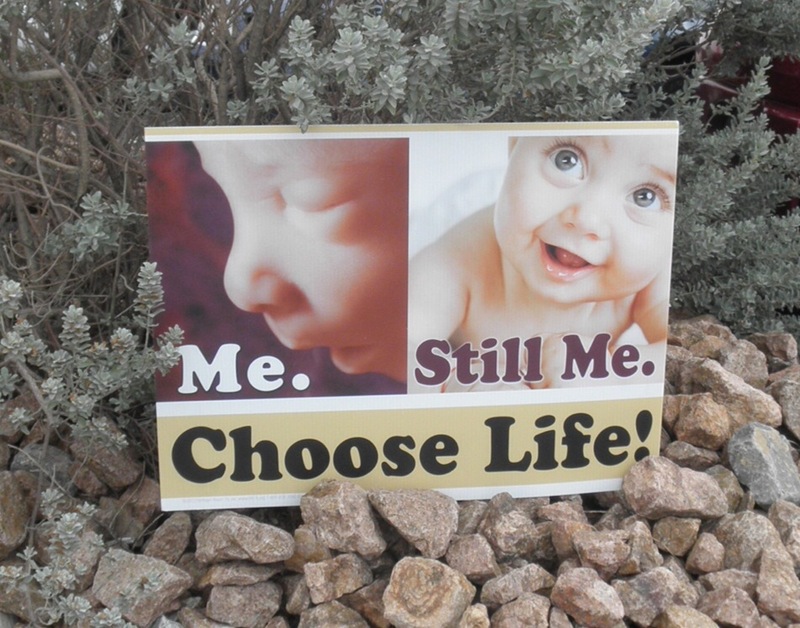 On average, 1,876 black babies are aborted in America daily. 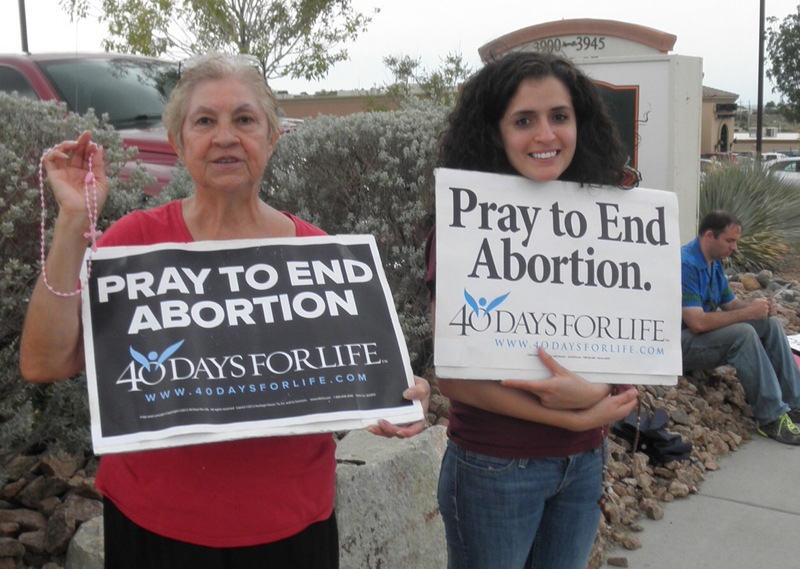 It’s been estimated that since 1973, black women have had around 16 million abortions. 67% of black children are being raised in single parent homes and one in fifteen black men are behind bars. So the question occurs to me, one that’s been asked over and over with many different answers: How would Martin Luther King Jr. view this country if he was alive today, 50 years after speaking his explosively powerful words? Now, I know that it’s truly folly to claim to know what’s in the heart and mind of another, but this man exposed so much of his heart and mind in his writing, his speaking and his actions that I think it’s relatively safe to draw some pretty solid conclusions. I don’t think there’s a simple answer of either positive or negative to the question, either. Truthfully, there is so much that he would be happy to see. Our college campuses welcome students of all races to study side by side. Black Americans like Oprah Winfrey, Russell Simmons, Kenneth Frazier, Sean Combs, Tyler Perry, Robert and Sheila Johnson, Don Peebles have excelled in business to become incredibly successful and wealthy. No sport is off-limits to black athletes, nor is the entertainment industry. Blacks take an active role in our government, from local, state and federal legislatures to the court systems, including the Supreme Court, to government posts throughout the White House and ambassadorial positions to other nations and to the United Nations. Dr. King would also be overjoyed to see that we live in a time where a black man can even find the position of President of the United States of America within his grasp. Now, that being said, there is plenty that I believe Dr. King would be devastated to see, as well. Our public schools are failing and, instead of working to fix them, the government is more focused on keeping those students they claim to want to protect locked into those schools, hiding behind the concept of equality and claims of trying to prevent a return to segregation. Instead of teaching kids to think and giving them the keys to better themselves, the school system, all the way up to and including most colleges and universities, are more akin to indoctrination centers focused on instilling the liberal agenda on impressionable minds. In the words of Dr. King, “The function of education is to teach one to think intensively and to think critically. Intelligence plus character – that is the goal of true education.” In today’s school system, the function has become to fill one’s head with propaganda to further the cause of our increasingly socialistic government. It doesn’t help that the majority of our various celebrities use their notoriety to further that agenda even more. I believe that the casual approach to human life that we’ve taken would horrify him as well. We’re killing each other for money or designer footwear or a desire for fame or for religious beliefs or just to combat boredom and, of all of this casual violence, the biggest epidemic is the explosion of black on black crime. With all the threats and dangers that have been leveled against black Americans over the years, the threat from other blacks may be the worst and definitely the most out of control. While we do have blacks in this country that are now in positions to influence or make laws, policies and judicial rulings, the majority of them are using that power to strengthen the new chains of slavery: entitlements, dependence on government and victim mentality, while those blacks (mainly conservative blacks) who stand up against the implementation of these chains and vilified, marginalized and subjected to some of the most hateful, bigoted, intolerant attacks to be seen since the days of Dr. King. And this is where we come back to the biggest point that’s been weighing heavily on my mind. While I did say that I felt that Dr. King would be overjoyed to see us reach a point where a black man could become President or where others, both black and other minority ethnicities could achieve high level positions in the government, whether they be appointed or elected, I suspect that the actual people in those positions, including President Obama, would create a much different reaction within him. To repeat once again what he said in his speech that we’re commemorating, “I have a dream that my four little children will one day live in a nation where they will not be judged by the color of their skin but by the content of their character.” When dealing with our current batch of liberals, be they black, white or any other color (although the focus is mainly on black liberals, due to the subject matter), there is very little that is positive in their characters. These black liberals, from Barack Obama to Attorney General Eric Holder to politicians like Representative Sheila Jackson Lee and Bobby Rush to members of the self-proclaimed black leadership like Jesse Jackson and Al Sharpton, excel at race baiting, dividing instead of uniting, berating and bullying those who disagree with them and attempting to change the culture, laws and structure of America into something counter to how America was created. Dr. King would never have gone along with their shenanigans. His focus was on putting an end to racial divisions and hatred. He wanted to see both sides come together, “I have a dream that one day on the red hills of Georgia, the sons of former slaves and the sons of former slave owners will be able to sit down together at the table of brotherhood.” Dr. King regularly cited from the Constitution, using it as the touchstone from which to launch the campaign for true equality for all, paying homage to the importance and value of the document, not looking for ways around it to get his way or citing it only to further his agenda, as so many liberals do today. President Obama has even tried to claim this past Tuesday that Dr. King would’ve liked his Affordable Care Act, aka Obamacare. On the Tom Joyner Morning Show, Obama said, “I think he understood that health care, health security is not a privilege, it’s something that in a country as wealthy as ours, everybody should have access to. And starting on October 1, because of the Affordable Care Act — Obamacare — anybody who doesn’t have health insurance in this country is going to be able to get it at an affordable rate.” Well, I see two major problems with that assertion. First, Dr. King was a very intelligent man, both in terms of academic intelligence and common sense. I don’t believe it would’ve taken him long to see through the carefully crafted veneer to the rotten core of this bill that is designed to attack and cripple, if not outright destroy business in America, both small and large. He would see that this destruction would imprison the individual, blocking them from career growth and the ability to reach upward toward excellence. I don’t believe that he would ever have accepted the premise spread by Nancy Pelosi and others that we had to pass the bill in order to find out what was in it. That sort of ‘logic’ may be accepted by many today, but in Dr. King’s time, where a hand held out in friendship could still be hiding a knife meant to do harm, quite literally at times, those sorts of assertions would’ve been viewed as naive idiocy at best. Then, once he looked at the heart of the bill and the layers designed to gradually drop the nation further and further into dependence on a government controlled monopoly until there could be no climbing back out, he would’ve spoken out strongly and passionately. The concept of being taken care of by the government was completely opposite to his message. He held that everyone should be treated equally, be treated with respect and dignity and given a fair opportunity to put out the effort to improve their lives. “Whatever your life’s work is, do it well. A man should do his job so well that the living, the dead and the unborn could not do it better.” He was a man who understood the difference between a handout and a hand up. The damage that Obamacare is poised to cause all Americans is the sort of damage that he spent his life speaking out against. Obama must be either delusional or simply grasping at anything to lend legitimacy to his bill to claim that Dr. King would approve of such a thing. Now, I know that a lot of this has been very negative in the face of observing such a wonderful historic milestone, but hiding from the truth or sugar coating it was something that Dr. King never did. He met the reality of injustice and wrong-doing head on at every opportunity. He stood up and fought the enemies of liberty at every turn. In his day, those enemies were racism, hatred and those who grasped for power and wealth by walking on the backs of those they deemed to be worthy only to be victims, suited only for serving their purposes. Today, our enemies are divisiveness, the erosion and eventual collapse of our values and principles, and those who grasp for power and wealth by walking on the backs of those they deem to be worthy only to be victims, suited only for serving their purposes. The more things change, the more they stay the same. It’s always good to remember the giants in our past, to celebrate their brilliance and courage and sacrifice, but if we want to honor the memory of people like Martin Luther King, then we have to get up and follow his example. Stand up for what’s right. Oppose the victimization of our people and the tyranny of those trying to take on the role of our masters. Protect the foundation of this nation which was founded on freedom for all; the concept that all of us were created equal and were endowed by our Creator with certain unalienable rights, among which are Life, Liberty and the Pursuit of Happiness. Most of all, fight, fight and then fight some more. Never quit fighting for what’s right. Never quit fighting against what is wrong. Dr. King was arrested 30 times in his fight for civil rights and he never quit. Never fail to fight for our brothers and sisters to keep them free from victimization and slavery, even if they’re going along with the program happily ignorant to where they’re heading. “The ultimate measure of a man is not where he stands in moments of comfort and convenience, but where he stands at times of challenge and controversy” – Dr. Martin Luther King, Jr. The writings of Martin Luther King, Jr.